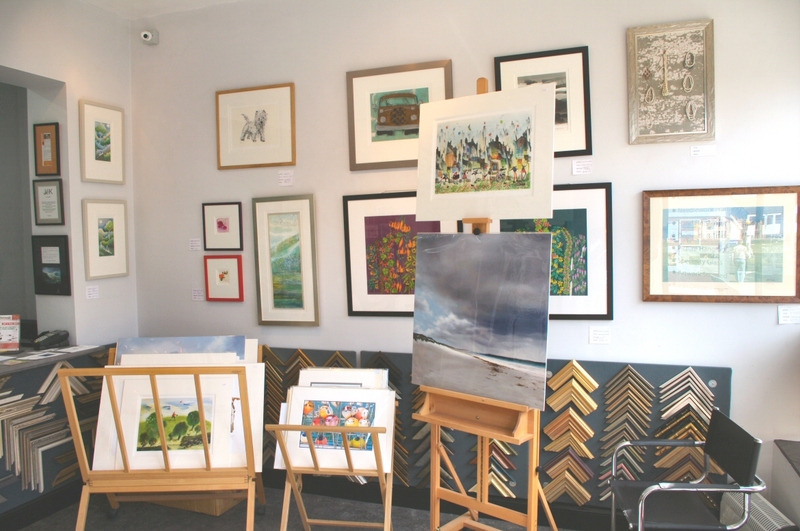 Based in Crowborough in the South-East of England, as a growing gallery we have dedicated time to building successful relationships with both established and emerging artists locally as well as those from further afield. We try to exhibit a specially selected collection of artworks by various artists. These reflect a mixture of genres, including portraiture, landscapes, narrative, still life and abstract. Our displays are regularly updated, so it is best to keep popping in to see what is currently on offer. Should you be after something specific, we will happily source individual pieces for you or arrange a commission. Some of our clients prefer a private viewing. We are more than happy to arrange this, whether it is in our gallery or in the comfort of your own home. Because of our connections within the art world, we are in a position to offer advice on buying art as an investment prospect. At J&K, we have access to many works by up-and-coming,established and master artists. We have a selection of limited edition prints, some already framed and on display in the gallery, with many more mounted and awaiting a frame of your choice.We are also able to source an even larger selection should you have a particularly artist or subject matter in mind. Generally speaking lower in cost than limited edition prints, these are ideal gifts or decorative.